This superfoods mix inspired me to make this easy, fast and complete breakfast. Sometimes, you’re body craves an easy breakfast. The option to stay in bed and snooze a little bit longer might be just what your body needs on that monday morning. This breakfast is ready in 2 minutes. Bonus snooze time ;). 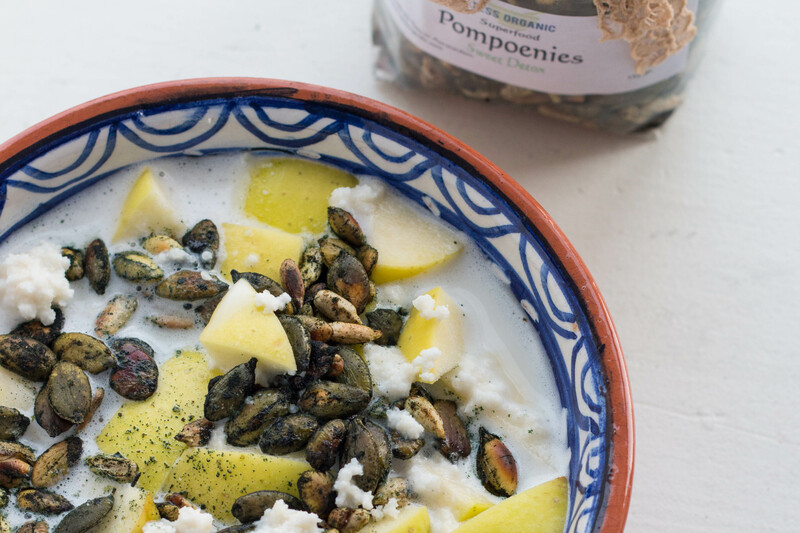 Put everything together in a bowl and enjoy your healthy breakfast with some white tea or warm lemon water. 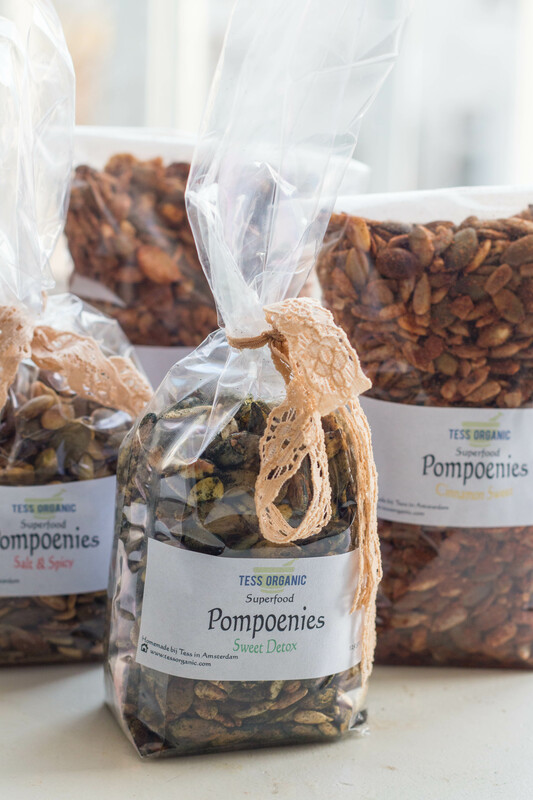 Did I make you curious about these products by Tess Organic? I’m not sure if she delivers outside of The Netherlands but it’s worth a try! Contact her via email: info@tessorganic.com. Next week I’ll give away some of the products made by Tess Organic. Keep an eye on my blog and Facebook page :)!